Fisherman's Paradise with a fantastic location! 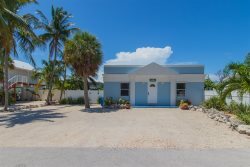 This Million Dollar(+) ( Non Pet Friendly ) home offers over 250ft of concrete seawall, large boat basin, 6ft control depth, w/ easy and quick ocean access! Commercial Ice Machine in Utility room/workshop, pool, Jacuzzi, outdoor BBQ and large outdoor space which is great for entertaining the whole family! The workshop and utility room features a commercial ice machine for storing your catch, and you'll also have access to an outdoor barbecue and large outdoor space to entertain. The pool and Jacuzzi make a great distraction for your family or friends while you cook. This three-bedroom, three-and-a-half-bathroom home features large bedrooms, each with in-suite baths. Two master suites have huge walk-in closets, ample storage, and 10' ceilings. The new granite kitchen features all-stainless steel appliances, and the house is over 2,600 square feet. New upgrades from the first half of 2014 include new tile flooring on the east end of the home and new dining and great room furniture. Additionally, we added three Blu-Ray players, a new washer and dryer, and a new stainless barbecue grill. Take your family for a fun-filled getaway today! This and Angler's Dream are both beautiful homes for those who love to fish.